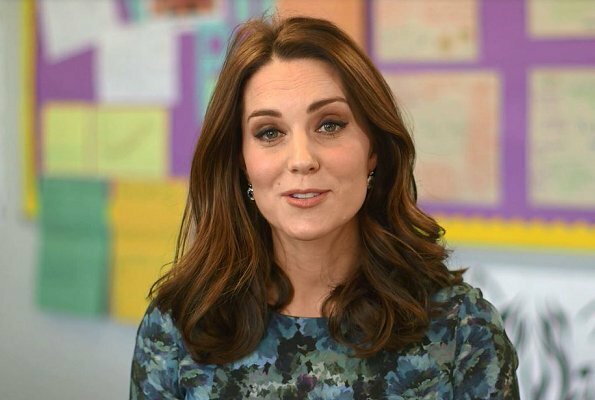 In order to support Children's Mental Health Week, Kensington Palace released a new video message of Duchess Catherine of Cambridge, made within the scope of Place2Be campaign. In her video speech, the Duchess emphasizes the importance of working together in Place2Be campaign to students, parents and teachers. The Duchess of Cambridge starts a one week campaign within the scope of Health Week. To much eye shadow in brown. That's a pity since her eye colour is very beautiful. A very good cause to support! I am very inspired to listen to Catherine's message regarding children's mental health which I think very important. explore her/his world almost for appearance.